For years, the American people have seen the gap between the rich and the rest of the country grow out of control. In recent years however, especially since Republicans passed their massive overhaul of the tax code that gave over a trillion dollars in tax cuts to the wealthy, the divide has been widening more and more quickly. Since the early 1980s to today, the richest 400 Americans have tripled their share of the country’s wealth. While this figure is shocking enough, it’s likely a low estimate of just how much wealth these few hundred Americans hoard, because many shield assets offshore to avoid detection and taxes. Still, their known wealth is equal to the total wealth of over 150 million of their fellow Americans, with almost 20% of American households having zero or negative wealth. That’s right – 400 people in this country own more than 150 million Americans combined. 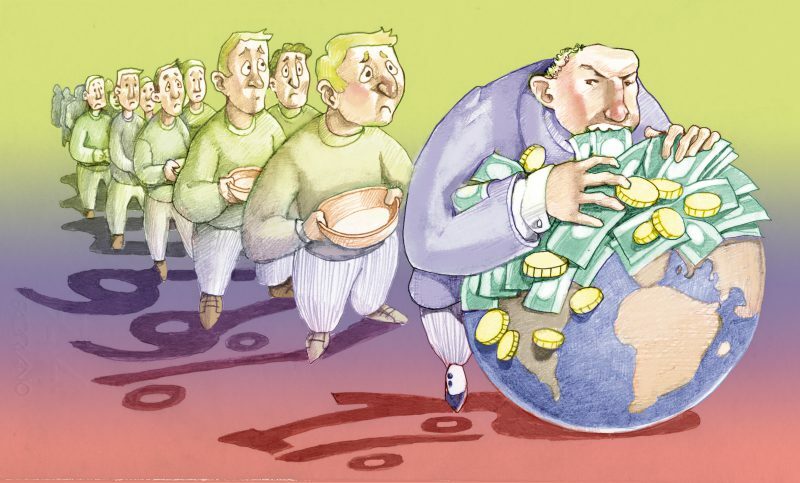 It doesn’t take an economist to see just how dangerous that concentration of wealth is. Unsurprisingly, the racial wealth gap shows that the majority of those households with zero or negative wealth belong to people of color. From 1983 to 2013, the median Black household wealth decreased by 75% to $1,700, and median Latino household wealth decreased by 50% to $2,000. During the same period, median White household wealth rose by 14% to $116,800. When it comes to closing these gaps and righting historical wrongs, our country isn’t just moving slowly, it’s actually heading in the wrong direction. And that’s a direct result of deliberate policy choices by our government. While this growing concentration of wealth in the hands of fewer of Americans did not happen overnight, or even in the last year, Republicans’ tax overhaul has absolutely played a role in exacerbating the problem, as 21% of the tax cuts last year went directly to the top 1%. Out of all of the problems facing the people of this country, the Congressional GOP chose to give the wealthiest Americans the lion’s share of their $2 trillion tax cuts. This is not what the American people wanted then or want now, as polls on the unpopularity of the Republicans’ tax bill and growing popularity of higher taxes on the rich show. If there is a bright side, it’s that this clear consensus of public opinion shows that the devastating effects of our country’s concentration of wealth need not be final. In the first months of this year, Democratic members of the House and Senate have proposed changing the trajectory of our country by properly taxing dynastic wealth. 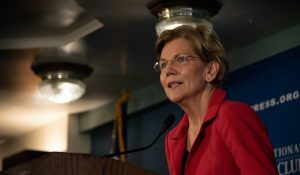 Whether Congress institutes Sen. Warren’s millionaires tax, follows through on Rep. Alexandria Ocasio-Cortez’s 70% top marginal rate, or revamps the estate tax as Sen. Sanders suggested, there are at least some lawmakers who believe something must be done to undo the growing concentration of wealth that is crippling this country. At the same time, Senate Republicans have doubled down on making the rich richer, and have introduced legislation to repeal the estate tax, the only federal tax on inheritances of millionaires of dollars, less than two years after weakening it to the point that someone can currently inherit over $22 million without paying a cent in estate tax. With less than 0.1% of Americans even qualifying for the estate tax, you can be sure that this bill’s supporters are hellbent on repeal to appease their donors, not the bulk of their constituents. And why wouldn’t they? Millionaire and billionaire donors pay handsomely when they get their way, contributing $31 million to Republicans in the 60 days from when the 2017 tax bill was even introduced. Over the last 40 years, our government has failed the majority of Americans. It has allowed a minute fraction of the population to amass more wealth than they and their heirs could ever possibly need. For decades Congress has helped the ultra-rich absorb all of the benefits of a growing economy while ignoring the needs of the poor and the middle class, but it doesn’t have to be this way. Our country has multiple options on the table right now, and many more on the way, to reverse the concentration of wealth in the hands of a few and return to our values our equal opportunity. All Congress has to do is tax the rich. This is crossposted on Medium.